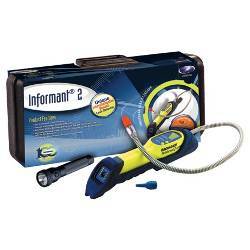 Bacharach Informant 2 Leak Detector Deluxe Kit for Refrigerants and Combustibles. Quick Change Sensors. Audible Indicator. 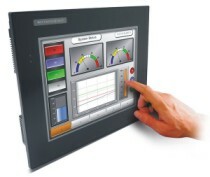 Dual LED Displays. Comes with color-coded probe tips, protective rubber boot, flashlight, instruction manual, 6 AA batteries, 5 filters and a hard carrying case. CE Mark and UL Approved for Class 1, Div 1 Group D.
> LEAK DETECTORS > REFRIGERANTS+COMBUSTIBLES : 2 Items found. Bacharach Informant 2 Dual Purpose Leak Detector Kit for Refrigerants and Combustibles. Quick Change Sensors. Audible Indicator. Dual LED Displays. Comes with color-coded probe tips, rubber boot, instruction manual, 4 AA batteries and a hard carrying case. CE Mark and UL Approved for Class 1, Div 1 Group D.
Bacharach Informant 2 Leak Detector Kit for Refrigerants and Combustibles. Quick Change Sensors. Audible Indicator. Dual LED Displays. Comes with color-coded probe tips, instruction manual, 4 AA batteries, 5 filters and a soft carrying case. CE Mark and UL Approved for Class 1, Div 1 Group D.